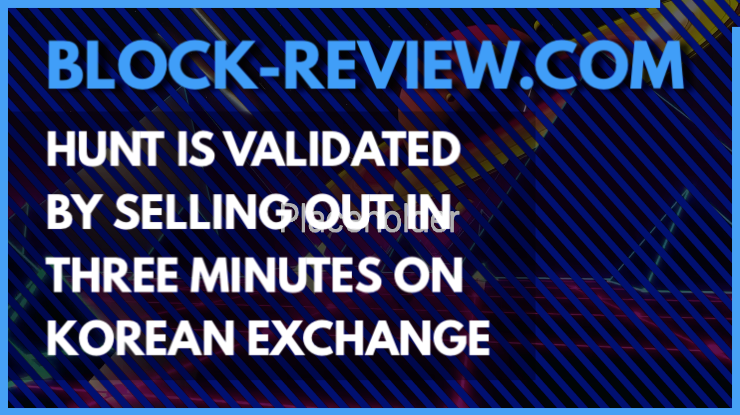 This is a firm validation of the HUNT token and the @steemhunt project in my eyes, the FIRST successful token project from the steem blockchain that has done an IEO and succeeded to float it effectively to interested parties, I valued roughly the transaction of raising £50,000 (little more) in three minutes means a positive future for reviewhunt and ideahunt coming up and I really hope it adds fire to the mix for the team moving forward. Now it might be attractive to a bunch of HUNT token advocates who worked hard (or spammed social links) to consider to HODL those tokens, I realise the urge to sell might be strong but I think you would be making a huge mistake if you did straight away — this is a validation of the ecosystem and the token, we are NOW getting started, reviewhunt has now the ability to flex it’s muscle to brands and form new brand advocate reviewers for companies looking to get their products out there if they buy into the HUNT token ecosystem — this is new territory, not been done before and could revolutionise the whole way advocate relationships work. What does this mean for you? 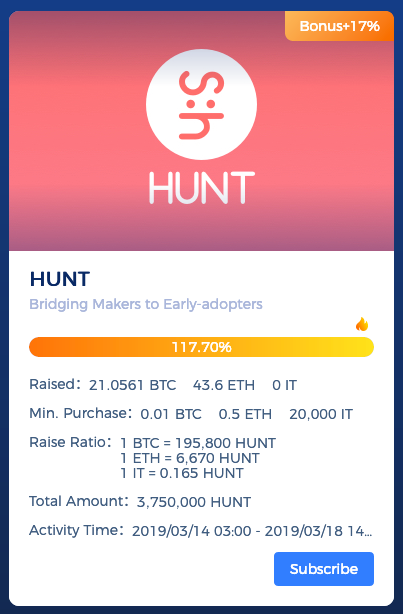 Simple, as a bag holder of HUNT you will see the price go up as the brands buy in, you could launch your own product on their using your own acquired HUNT tokens, build up a social media library of reviews and content for the roll out of your kickstarter or just straight MOVE product to a hungry base of tech reviews, the time to flip and sell HUNT is not now, because we are JUST getting started. ever since reviewhunt was mentioned on token.steemhunt.com I’ve been excited about the potential of a global movement of tech reviewers using crypto and smart contracts to handle business to global brands around the world, a lot more cleaner, realistic and fault tolerant that the usual way you have to interact with a brand or agency, it’s got the potential to change the very nature of tech reviewers and we have a strong showing of community on a daily basis on steemhunt that can assist with that. I already made some start on the work for the template yesterday and I’m hoping to get an introduction video up either today or tomorrow about everything and I’m keen to get started on it — if you are into technology you can sign up at the top, I’m adding to the deal by offering 100 VLOG tokens from my steem-engine.com token to everyone that signs up that can do tech reviewers or is interested in doing them for reviewhunt when it arrives. … are obviously in order to the team for putting together such a solid product and staying the course, it’s been intense and a lot of work, a lot of revisions, fights, back and forth, team building, everything. .. but to see it validated like that in 3 minutes has added a SHOT in the arm for the upcoming additional verticals to the steemhunt family and I’m extremely proud and empowered to know that I picked the ‘winning team’ on the steem dApp circuit — I tip my hat to @tabris and @project7 for their unfailing dedication and clarity for bringing this to a successful junction for the road forwards of the HUNT family of web products. P.S — don’t sell, give it at least 3/6 months of reviewhunt being live and up and running before you consider getting out, trust me that 50k GBP in 3 minutes is FUEL for having dialog with brands and agencies about the future of the HUNT token when it comes to tech reviewing — just think about it for a minute, 100/1000 tech reviewers globally, earning HUNT tokens for doing reviews about projects — it really could be something life changing for those BAG holders if you stay around.